With a bankable feasibility study nearing completion, Orion Minerals is ramping up for a restart of its Prieska zinc-copper mine in South Africa. 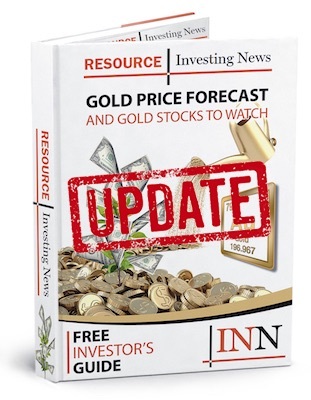 Orion Minerals (ASX:ORN,JSE:ORN) is targeting 2020 for the restart of its Prieska zinc-copper mine in South Africa’s Northern Cape. Errol Smart, the company’s managing director and CEO, gave a presentation at the Africa Down Under conference in Perth on Wednesday (August 29), highlighting Orion’s current strategy and vision, which is focused on the redevelopment of Prieska. While a maiden JORC resource has been published and a mining right and environmental application has been lodged, Orion is still working on a bankable feasibility study (BFS) for the asset. It began in July 2017 and is set to be completed during Q4 of this year. Meanwhile, the company expects to be granted mining rights during Q2 or Q3 of next year. Prieska’s total JORC resource stands at 29.4 million tonnes containing 1.12 million tonnes at 3.8 percent zinc and 365,000 tonnes at 1.2 percent copper. Over 50,000 meters of drilling were completed to establish the resource. Part of the plan to reinvigorate Prieska is to leverage pre-existing infrastructure, including 175-MW operational solar power plants in the area and an 800-kilometer rail link to a major bulk-commodity and deep-water port at Saldanha Bay. Once one of the world’s top 30 volcanogenic massive sulfide deposits, with a historic production rate of over 430,000 tonnes of copper and 1 million tonnes of zinc, Prieska previously operated from 1971 to 1991. No more than 2 million tonnes of ore were blasted following 1987, and the mine closed in 1991. The project’s current predicted timeline shows construction starting in late 2019 and continuing through most of 2020, with ore production anticipated to start in late 2020. Orion’s share price rested at AU$0.032 as of Wednesday. Aside from Prieska the company has a number of other assets in South Africa, along with several in Australia.